With the Float magazine holder by j-me your collection of magazines and newspapers is always within reach, well organised and nice to look at. The principle is as unusual as practical ad it makes Float an enrichment for every room. 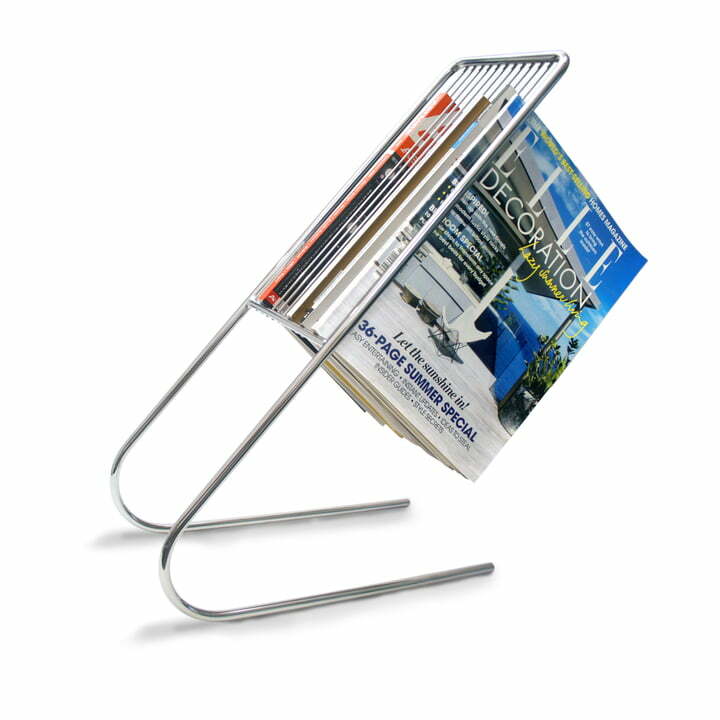 As on a clothes stand, Float can hold 12 magazines and newspapers in an orderly arranged way. 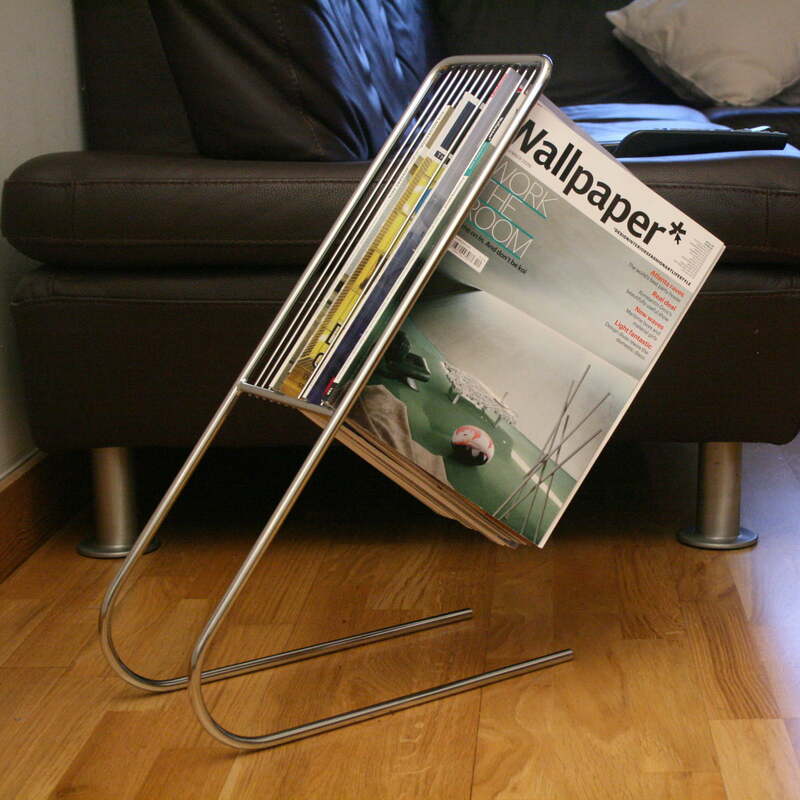 When the magazine stand is not in use, it stays decently in the background with its simple ingot steel design. Being supplied with magazines, Float becomes a pretty furnishing object with complete form and function.